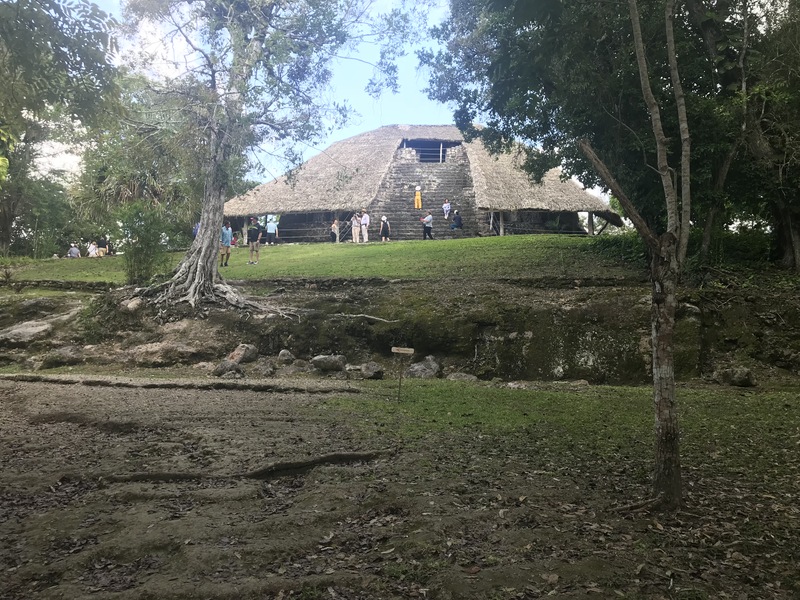 Kohunlich is a Maya site easily reached by tour groups from Costa Maya. 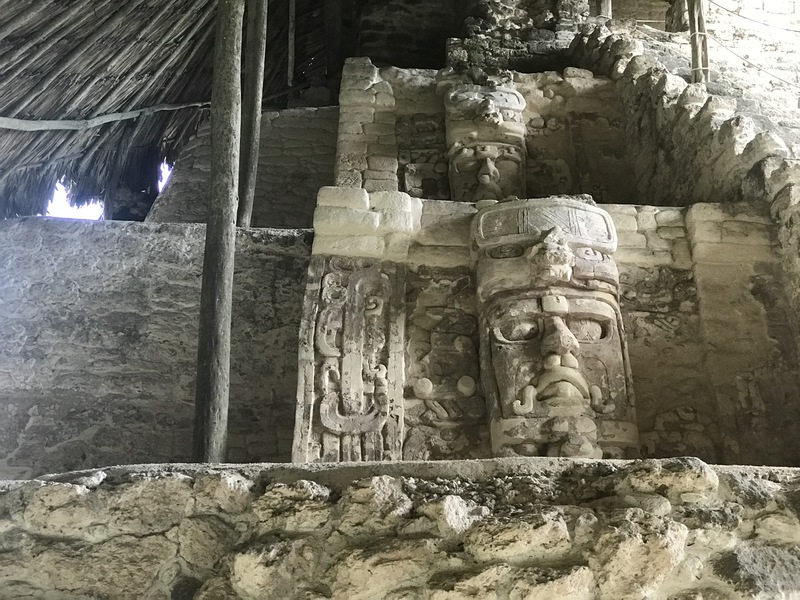 The most impressive discovery at Kohunlich is the temple with preserved stucco masks; it is referred to as the Temple of the Figureheads. 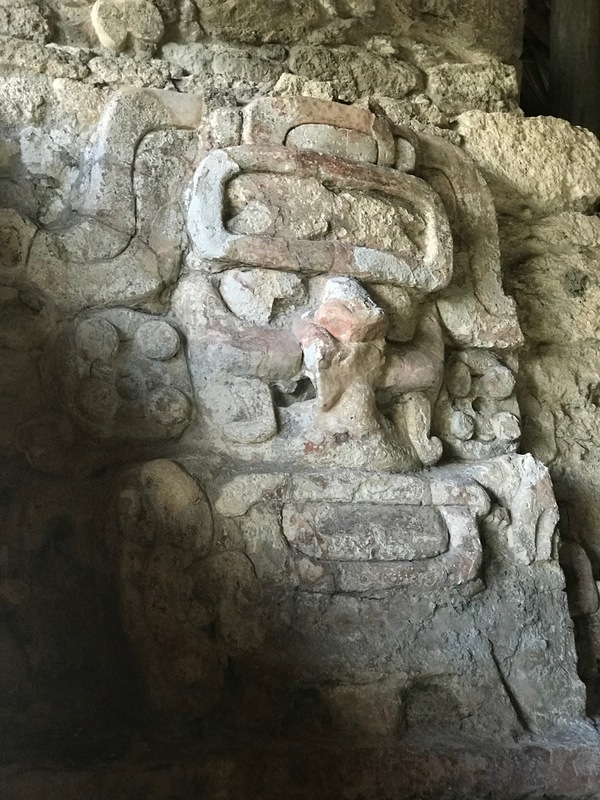 Two masks on the left side the stairway leading to the top of the temple at Kohunlich. These stucco masks date to approximately AD 500. Closeup of one of the stucco masks. 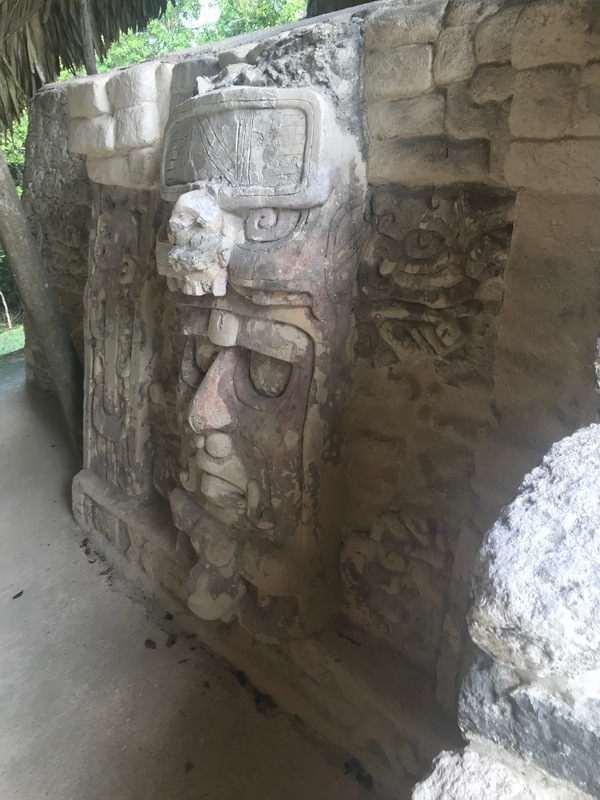 It is believed that each mask repreents a member of the ruling lineage of Kohunlich. 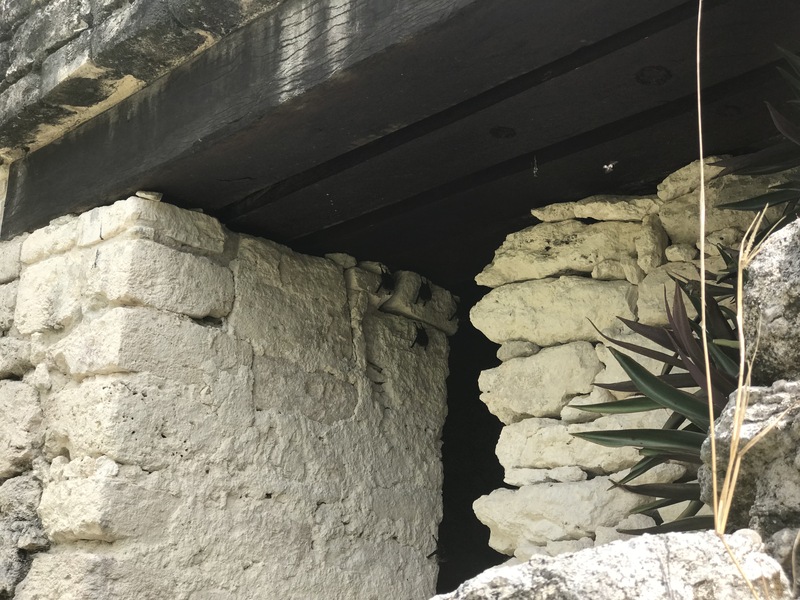 The stucco masks at Kohunlich face westward towards the setting son. 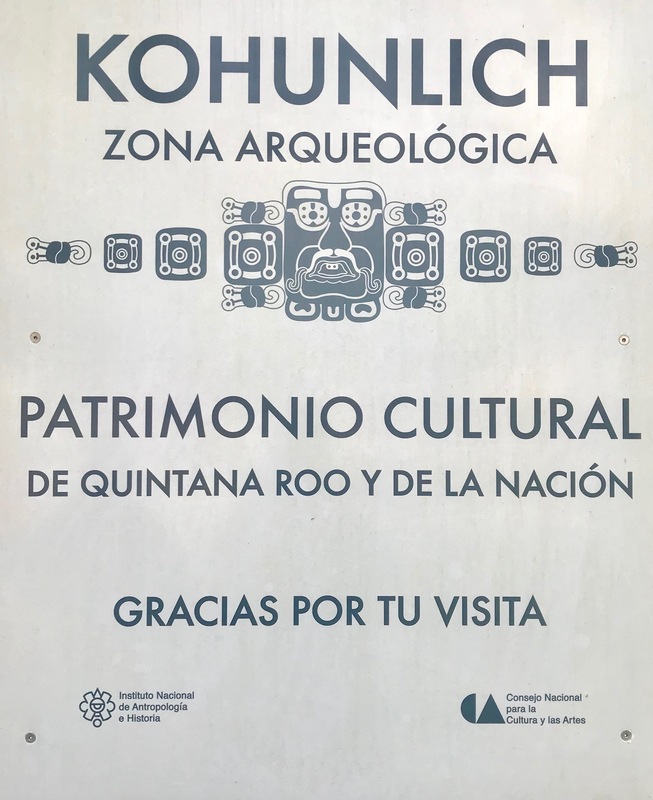 Plaza of the stelae is in the central area of Kohunlich. 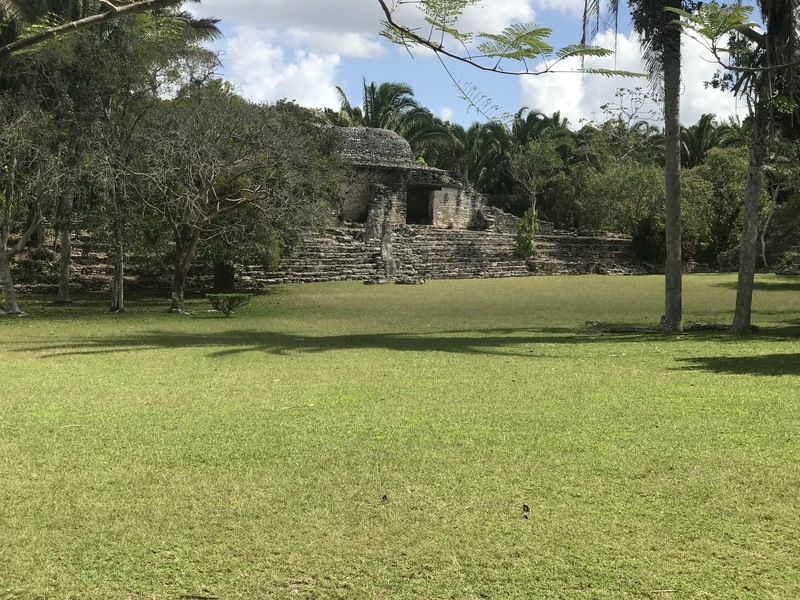 It is one of the largest plazas in the Quintana Roo region. 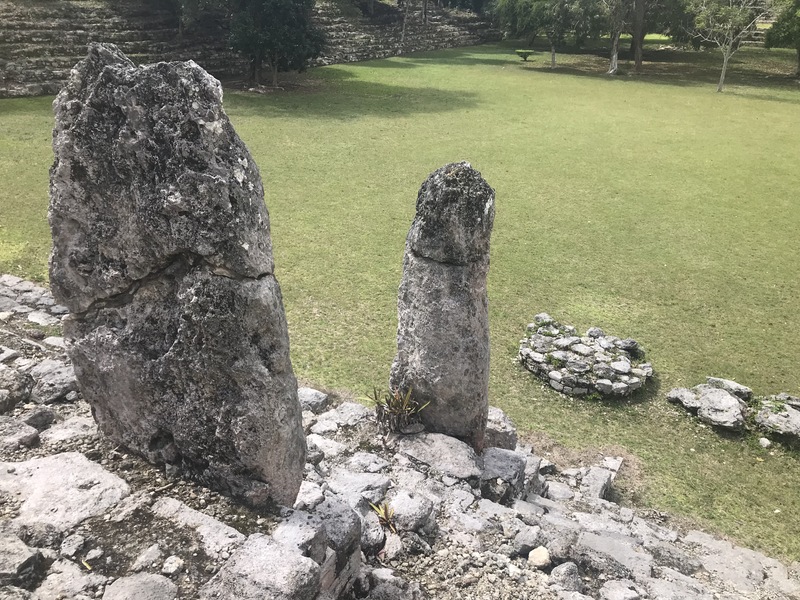 Its name comes from the fact that three undecorated stelae are set into the steps of a palace that was constructed in approximately AD 600. 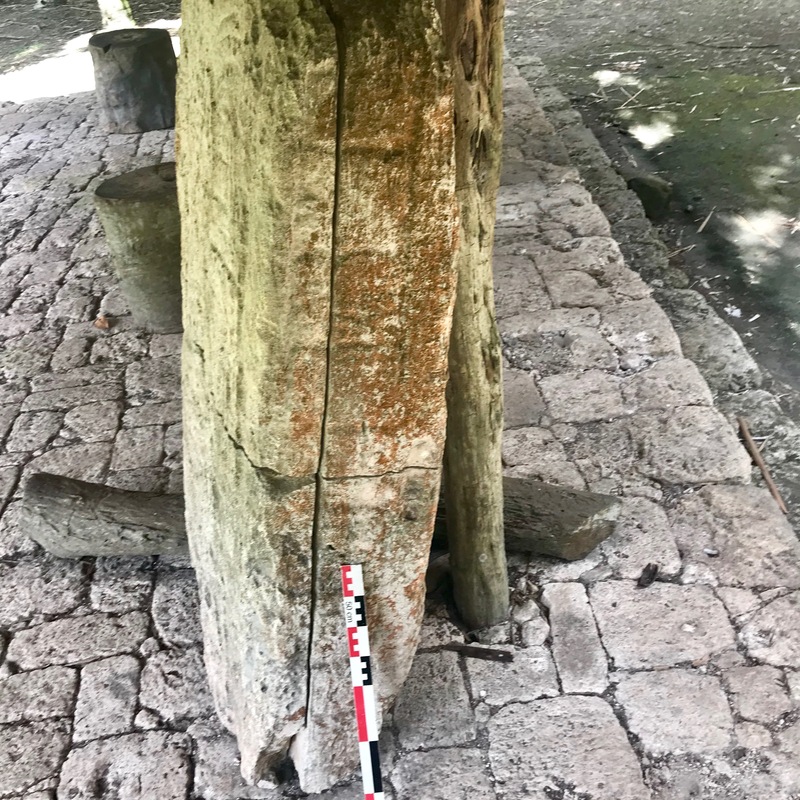 Stelae on the steps of the palace at Kohunlich. 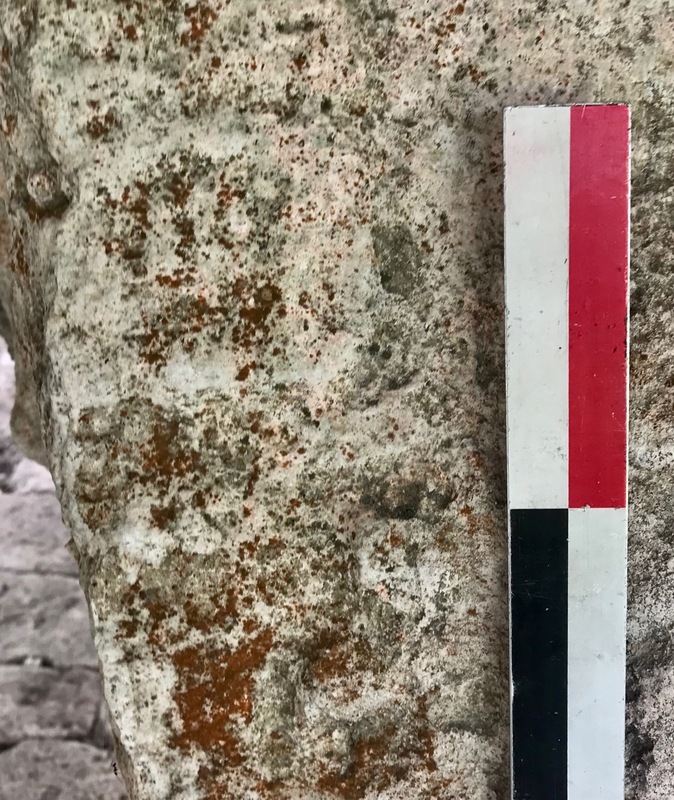 The stelae would have been plastered and painted. 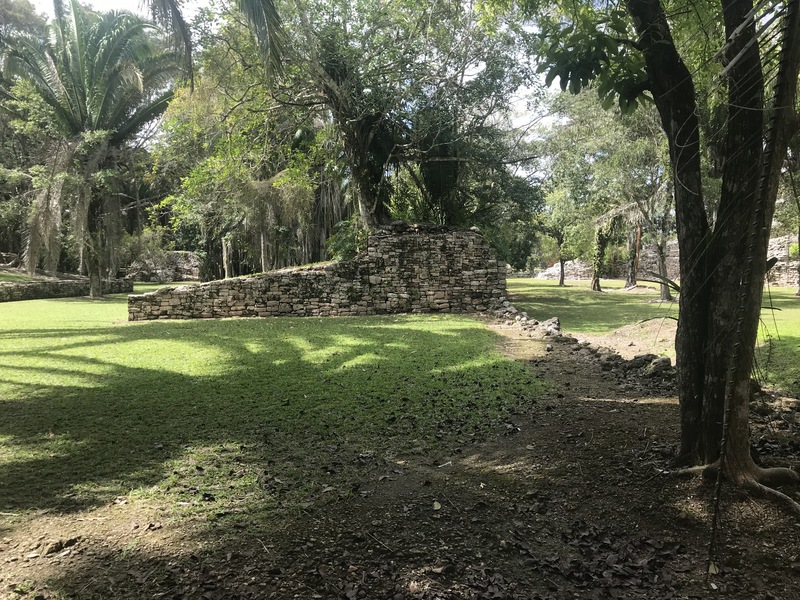 Not far from the palace at Kohunlich are the distinctive walls of a ballcourt. 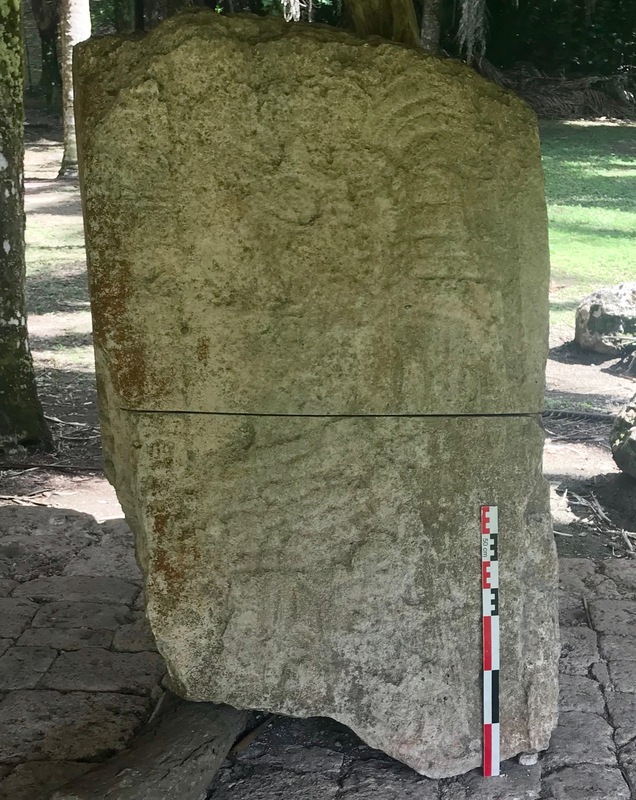 Weathered stela that still has traces of the relief image of a Maya king. Scale is 50 cm. Looters were cutting the stela into pieces when they were stopped. Weathered glyphs on the stela. Bats inside one of the restored rooms of the acropolis at Kohunlich. 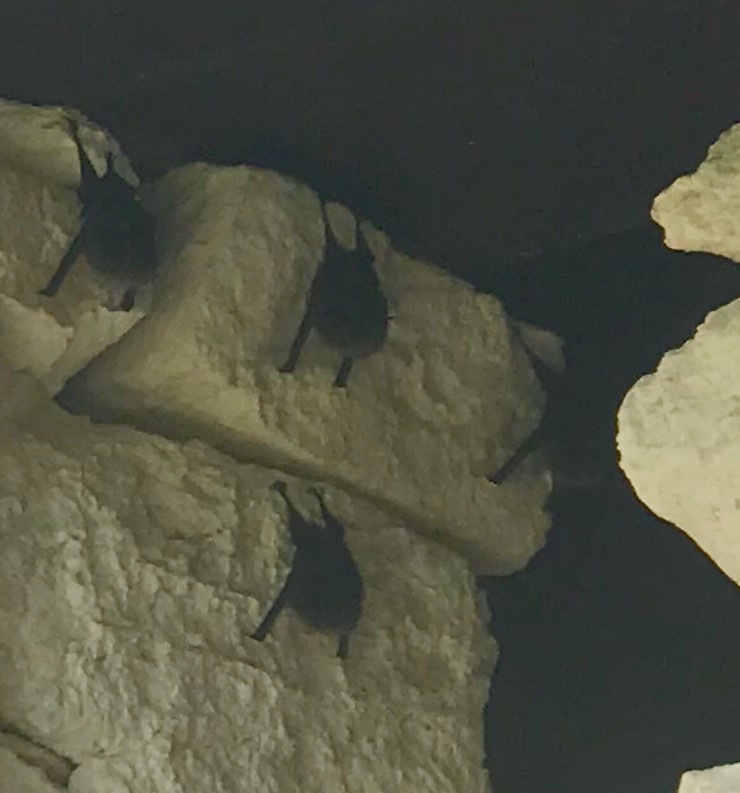 Closeup on the bats in a room on the acropolis at Kohunlich. 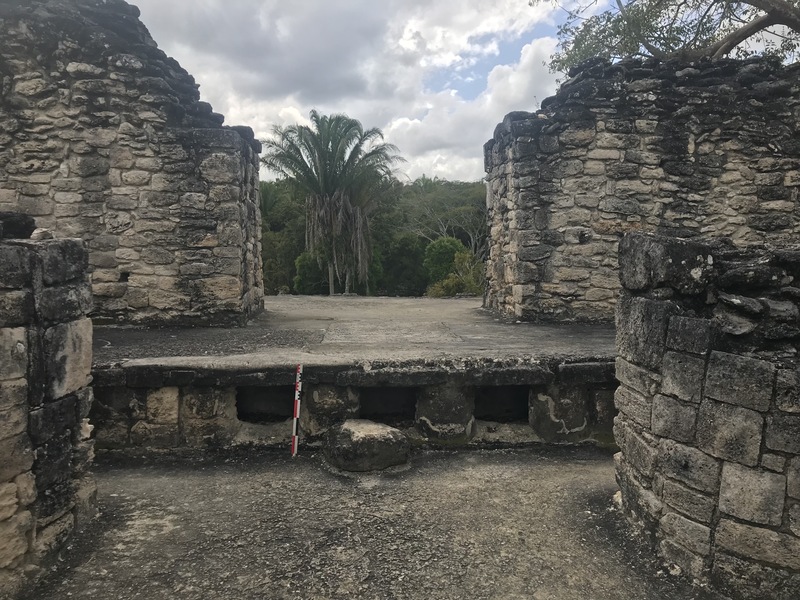 Elevated bench/platform inside of one of the rooms of the acropolis at Kohunlich. 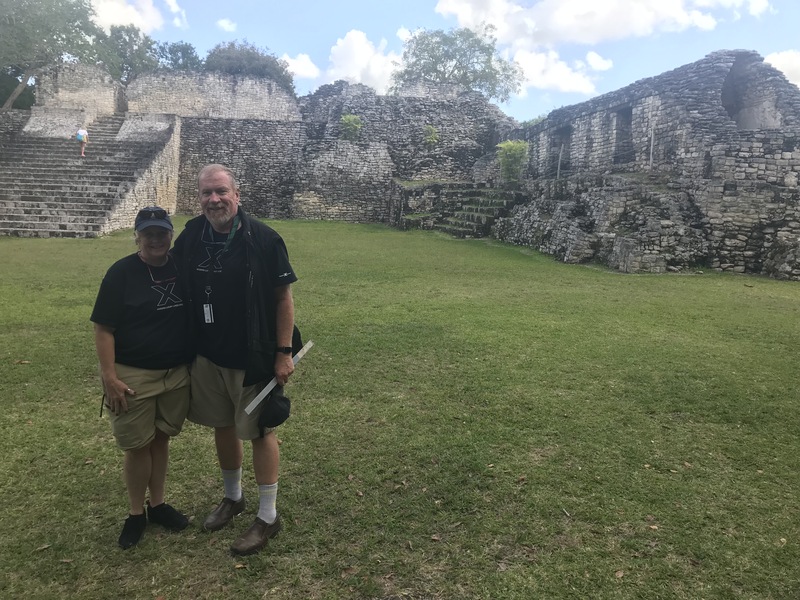 Professors Neathery Fuller and Michael Fuller in front of the acropolis at Kohunlich. 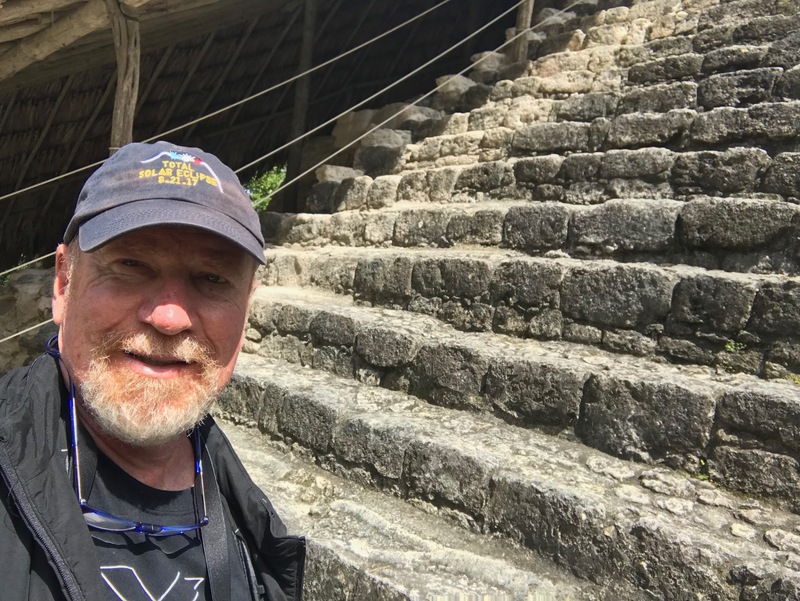 Professor Michael Fuller at the base of the stairway at the Temple of the Figureheads, Kohunlich.